Homepage. 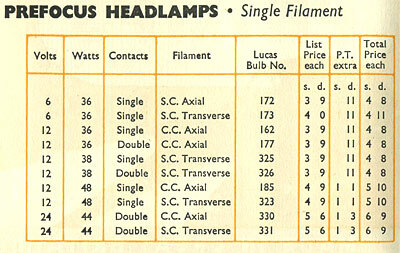 This page: Philips car bulbs were a common fitment in the post-war years, this leaflet describes some of the bulbs on offer. 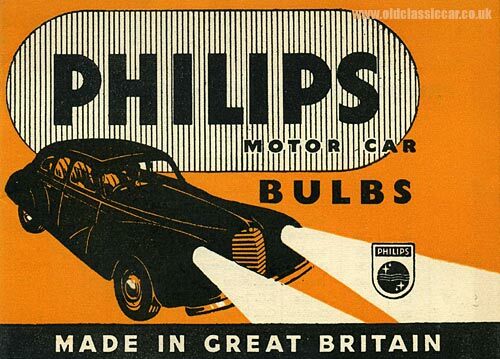 Philips Motor Car Bulbs leaflet. 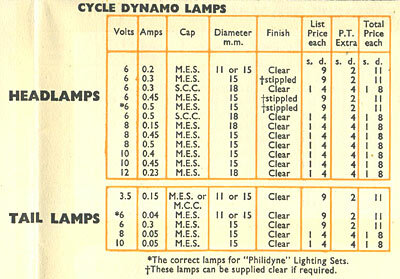 Philips car and bicycle bulbs were commonly used on cars in the 1950's, which is when I think this leaflet was produced. Pocket sized, it folds out into a handy little reference guide for car, cycle and commercial vehicle bulbs (6 volt, 12 volt and 24 volt types). Head Office was at Century House, Shaftesbury Avenue in London, and the firm could be contacted either by telephone (Gerrard 7777) or else telegram (send to Phillamps, Phone, London). Alternatively, they had regional offices around the country. 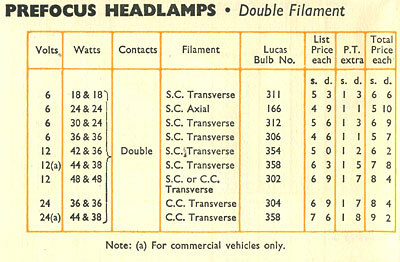 I've scanned a number of tables which describe the motor-car bulbs they had for sale, along with the matching Lucas equivalent part number. 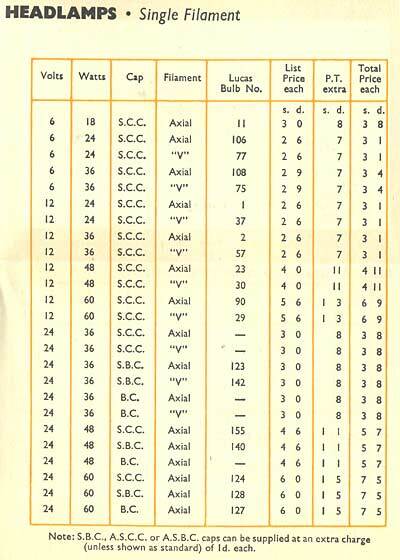 The first of these tables is shown below, and the remainder can be viewed by clicking the links that follow on. Pre-focus headlamp bulbs - Single filament. More items of motoring ephemera and automobilia can be found in the Motoring Collectables section.